St. Nick’s Holiday Open House: Win With Wine Lotto! Were you too busy on Cyber Monday to remember your tickets? Now is your chance to take advantage of our Open House Weekend…Sip & Stay! Make it a safe and relaxing weekend with our hotel partner Explore Bothell..stay just 2 miles from where you sip...click here for details! Saturday and Sunday is our Saint Nick’s Open House, when 20+ wineries throughout Woodinville invite you into their tasting rooms to enjoy their wines and drink in the spirit of the season. 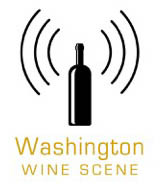 Where: Woodinville Wine Country – check out the website for up to date winery info! What would the holidays be without some great big stocking stuffers? This year’s St Nick’s Wine Weekend gives wine lovers the chance to win one of three wine country prize packages with every wine purchase they make. Throughout St Nick’s Open House Weekend, you’ll receive one entry ticket for every winery transaction you make. Our four winners will be chosen at random on Monday, Dec 5th and announced on WoodinvilleWineCountry.com. Woodinville Wine Country kicks off the holidays by opening our doors for three days of tasting and festivities. Winter Release Party this Saturday! Please join owners, Ron & Marianne Lachini along with Winemaker, Matthieu Gille and team as we pour our latest arrivals this Saturday at our Woodinville, WA tasting room. Great vintages make great wines. Come discover the first of our 2015’s along with bold 2014 Cabs from Washington’s Red Mountain AVA. We will also have a few library wines available for tasting & purchase including the last of 2012 Prima Pinot Noir (93pts), 2010 Cuvée Giselle Pinot Noir (91pts). $20 per person. Complimentary for L’VIP, L’Connoisseur, Sono A Modo Mio & Grape Revolution Club Members. Enjoy assorted wood-fired pizzas & savory prawn pairings by Pompeii Wood Fired Pizzas. To RSVP [CLICK HERE]. Parties of 6 or more, kindly RSVP to 888.703.0007 or info@lachinivineyards.com. Give them a one-year membership to our Grape Revolution Wine Club! Your gift will include three wine allocations for the 2017 calendar year, one free monthly tasting at one of our three tasting rooms and discounts to exciting Lachini events. Total price is $300 excluding shipping costs. [CLICK HERE] for more information & to sign up now. Give the gift of a beautiful Large Format Lachini Pinot Noir (1.5L / 3.0L / 5.0L). We have a broad selection, including many library vintages; yet quantities of these wines are extremely limited. Our Tasting Room Team members would be happy to assist or feel free to call Judy for vintages & wine/format options. Available wines include ~ Cuvée Giselle, Estate, ‘S’ & La Cruz Vineyard Pinot Noirs, La Bestia Cabernet Sauvignon & La Contrada Red Wine. Prices range from $180-$775. Club members can apply your respective discount. Wishing you a joyous holiday season…From our vineyard to your table; your enjoyment is our passion!